As the election of 1864 neared, the reelection of President Lincoln was very much in doubt. It had been a long a terrible war, that had not started well for the Union. To further call into question Lincoln’s re-election prospects, no President had been elected for a second term in the United States since Andrew Jackson. 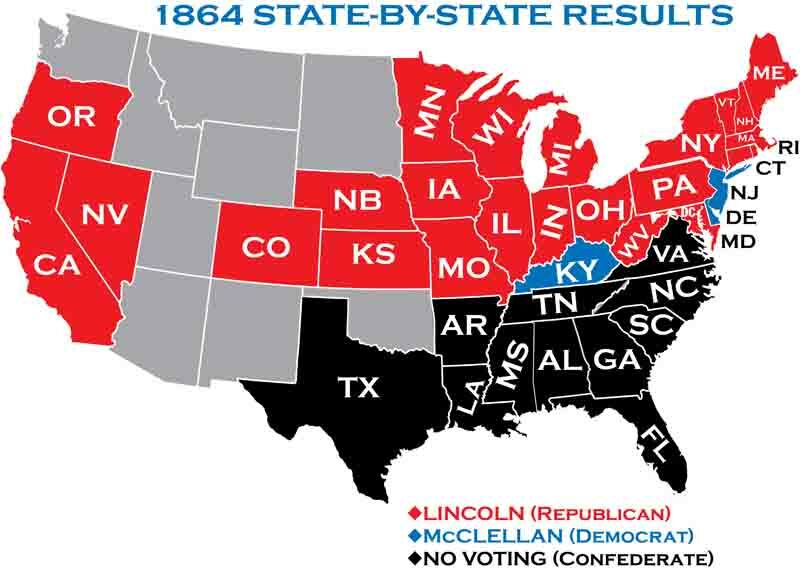 Despite these challenges, the Republicans chose to renominate Lincoln. When Lincoln was informed he stated: “I do not allow myself to suppose that either the convention, or league have concluded that I am either the greatest or best man in America, but rather they have concluded it is not best to swap horses while crossing the river, and have further concluded that I am not so poor a horse that they might not make a botch of it in trying to swap". The Democrats nominated General McClellan. The platform of the Democratic party called for a cease-fire. 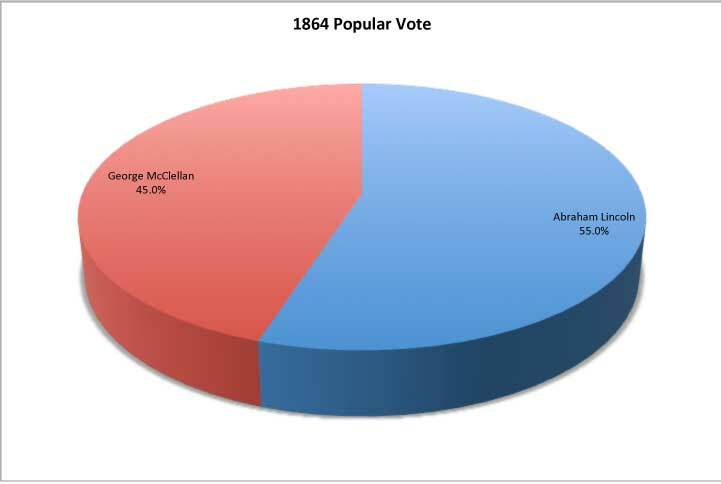 McClellan repudiated the Democratic platform saying the only basis for ceasefire was the restoration of the Union. McClellan strongly criticized Lincoln for the Emancipation of the slaves. The Democrats attacked Lincoln for being a liar, despot, braggart and much more. The Democrats were accused of treason, and McClellan’s war record was ridiculed. Between the Democratic convention and the election, there were spectacular Union victories. Union victories included Sherman's capture of Atlanta, which radically increased support for Lincoln. 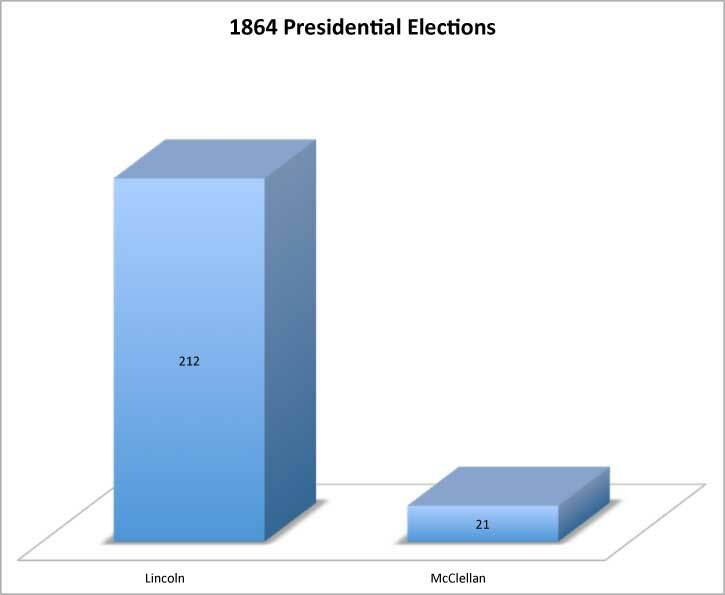 In addition, Lincoln received an estimated 80% of votes of Union soldiers. This sealed his overwhelming victory.